Keywords continue to evolve as search engines become more precise in their mission to hand users the most relevant and highest quality results to their search queries. In recent months, we’ve heard a great deal about long-tail keywords. They’re practically the new “in” thing in the world of SEO and keyword based optimization. But the question a lot of business owners and marketers are asking is, just how does one successfully use them in Web content? That’s what we’re here to assist you with, but before we dive in, let’s take a moment to define and explain exactly what these trendy keywords are. It’s not a keyword with a long-tail. 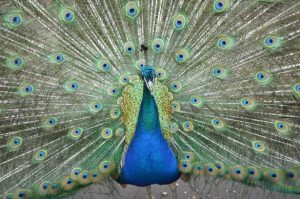 We know Google keeps naming its algorithms after wildlife, understandably so as sometimes the updates get pretty wild, but long-tail keywords have absolutely nothing to do with the animal kingdom—unless, of course, you’re niche centers around a zoo. According to WordStream, long-tail keywords are the better way to connect with your audience. They are longer and more specific in nature than traditional keywords. In fact, they’re usually entire phrases popularly used by visitors when they are closer to a point-of-purchase. They know exactlywhat they’re after, which is why they enter a longer, more specific keyword phrase. Their goal is to find extremely relevant results. For example, if I were in the market for a Toyota Camry, I would open Google and simply type, “Toyota Camry” into the search box. I’m thinking about buying a Camry, but I’m not sold on the idea quite yet. Therefore, I’m searching for general information. Let’s say that as I research, I discover that a specific model of the Toyota Camry meets my safety and dependability needs more than the rest. Suddenly, I’m on the brink of becoming a buyer and my search query grows even more specific. I next Google my specific desire: a “2014 Toyota Camry LX.” I might even add in the name of my city, a nearby city I will be visiting, or the state I live in to find local sellers with this exact model in stock. In this example, the original, or traditional keyword, was “Toyota Camry.” All of my other queries were what we call long-tail keywords. According to Moz’s Beginner’s Guide to SEO, traditional keywords — the ones that have thousands of searches a day (aka “Toyota Camry”) — make up less than 30 percent of the searches performed on the Internet. The other 70 percent come from long-tail keywords. Perhaps the greatest and most time-consuming challenge of keywords is finding the right ones. You might be thinking back to your first ordeal of identifying the best keywords for your website, individual pages, blogs, and so on. It probably wasn’t fun, but that’s before you got to know a thing or two about keyword research, and it was also before you established a history of keywords that worked. Use the search box on Google.com. Seriously. It sounds almost stupidly simple, but it works. It’s easy and effective. All you have to do is go to Google and start a search with a term related to your business, market, niche, produce, or service. Google will automatically start suggesting search terms, just as it does for real users on a hunt. The terms that pop are the ones you should strongly consider targeting because it’s highly likely they are commonly used. Examine your search query report. Your search query report is a fantastic resource for identifying long tail keywords. The report houses a list of search terms your site showed up for. It’s a prime place to spot those already in use long tails and expand on them. Use the free keyword tools that are available. Search Engine Land recommends three free keyword tools: Keyword Eye, KeywordSpy, and SEMRUSH. You can leverage these tools to conduct detailed keyword research and even spy on your competitors to see just which long tail keywords are producing results. The information you glean can help you tailor some super strong keywords to your business. Think like a local user. One of the most talked about benefits of long-tail keywords is their ability to land you on the local scene. If your goal is to successfully market to local consumers, then you have to think like a local search engine user. Most of the time these people search with the addition of the name of the city or town they live in, or the closest metropolitan area. In both instances, these search terms equate to “long-tail geo targeted keywords.” Advertisers and marketers often overlook these keywords because they generate low-search volume. However, they are liquid gold to niche geographic areas. Hiring an expert is a novel idea. Experienced industry copywriters make it a point to know the latest and greatest in the SEO world. It’s a bit of a requirement because keywords still play a prominent role in both SEO and copy. Expert copywriters know how to incorporate long tails into your copy naturally. They are invaluable, and they can remove the stress of writing and polishing that awesome copy you are going to need. Optimize your content specifically for long tail keywords. Again, hiring an expert copywriter can be a lifesaver in this department. In order for long tails to pack a punch, your content must be specifically optimized for them. Above all else, this optimization must appear and read naturally, otherwise it’ll automatically be labeled as “poor quality” and your search rankings will suffer. Long-tails can be included in everything from titles to copy and woven into your meta title and description tags if crafted properly. Post your content consistently. Leverage your blog. It’s a fantastic avenue for testing long tails because you can build an entire post around the keyword you’re considering. Incorporating your long tail keywords into your blogs and posting consistently is also a great way to build some SEO. You don’t have to post a great quantity as long as your post quality on a consistent basis. Updating your blog just a few times per week can cause a big reaction, so long as you continue the trend. Be sure copy length and keyword density is optimal. According to a QuickSprout study longer content is a positive. If possible, you should consider investing in pages of more than 800 words. Although keyword density isn’t a strict rule these days, you should still ensure that there are a decent number of keywords and variations throughout the page. Insert them naturally, and the total density won’t matter. Google wants to see quality above all else. There’s no such thing as a calculated and stringent keyword density today. So forget the math and instead focus on the ultimate investment: truly awesome and high quality copy. Turn to your customers for more keyword ideas. Your site should only be optimized for the keywords that truly matter to your business, and who better to hand you keyword ideas than your customers? How did they find you? What search terms lead them to your doorstep? You can get a great response by simply asking your customers these questions via a survey. It can be a great way of lighting up your social media channels and getting people involved in an active discussion. Once you’ve generated a response, research the terms your customers used to either find you or conduct research related to your business against your keyword tools. 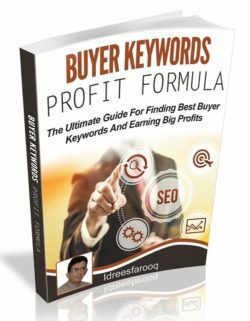 It’s highly likely you’ll be able to create some fresh, lucrative keywords from the exercise. Don’t use irrelevant keywords just for the heck of it. Now, I know that “benefits of online marketing” and “the ice bucket challenge” are wickedly popular long-tails right now. But if you’re a) not offering online marketing services or products, b) not actively participating in the ice bucket challenge, and c) cannot spin these topics to be completely relevant to your content, then these wickedly popular long-tails are completely useless. If you slip them into your site to boost rankings for the heck of it, you’re committing a classic black-hat SEO tactic called artificial inflation. You’re trying to gain rankings off of a popular search term that has absolutely nothing to do with your site. Don’t do it! You could be banned by Google. Don’t use any keyword that is a stretch. OK, so you’re business isn’t online marketing, but you use it and think other people should too. Great. Make a personal blog to share your personal business opinions from, but do not try to force it into your company blog. Every keyword should be 100 percent relevant and on topic for YOUR business. Don’t go off topic. It will not help your rankings. Don’t force it. Whatever you do, don’t force your long-tails into your copy. They can be adequately intermingled naturally, but forcing them in can be like trying to shove a square into a circle. Google and your audience don’t like brute force. Don’t get too specific. Yes, long-tails are by nature specific search terms. But don’t fall into the trap of getting too specific. While a long-tail with scalpel like precision will land you as number one on Google for a very, very, very specific phrase, it won’t do you a bit of good if no one is search for it. For example, if you aren’t in a major city, including your city name probably won’t be beneficial. Include the state or the neighboring metropolises, and then you’ve got something. Produce great content. The most effective content marketing and SEO strategy boils down to good old content. Your long-tails will only be as successful as your Web content allows. So invest in high quality, engaging, and compelling content. It’s worth every last penny. Be the provider of share worthy content. Social signals sway viewers immensely. Your long tails will drive a new wave of visitors to your website. Present them with strong, share worthy content—the kind that simply mustbe passed on—and while you’re at it, make it easy to share. Share worthy content gives your long tails the most mileage. Congratulations. You are now armed with enough long tail keyword information to be dangerous. The question is will you apply these tips and give your competitors a run for their money while actively driving new consumers to your website? Long tails just might be the way of the future, as users grow ever more apt at pinpointing their exact search needs. Will you be ahead of the tide or have to surf fast to catch up? Great article. Much of the stuff I already knew but then again I’ve been doing this for a while. Though I think this is an excellent article for a newbie whose just getting their feet wet. I also like the fact that this is not about using expensive paid tools but rather feebies and commonsense ideas. Thank you for your interest in our resell products. Yes, I would be glad to help you lear nto make money online with your own business. I have sent you an email to help get you started. Thank you for your input and feedback. I understand exactly what you are saying. We need to know there is a purpose in all that we do and family and friends can sometimes provide that purpose. Thanks again Theresa!